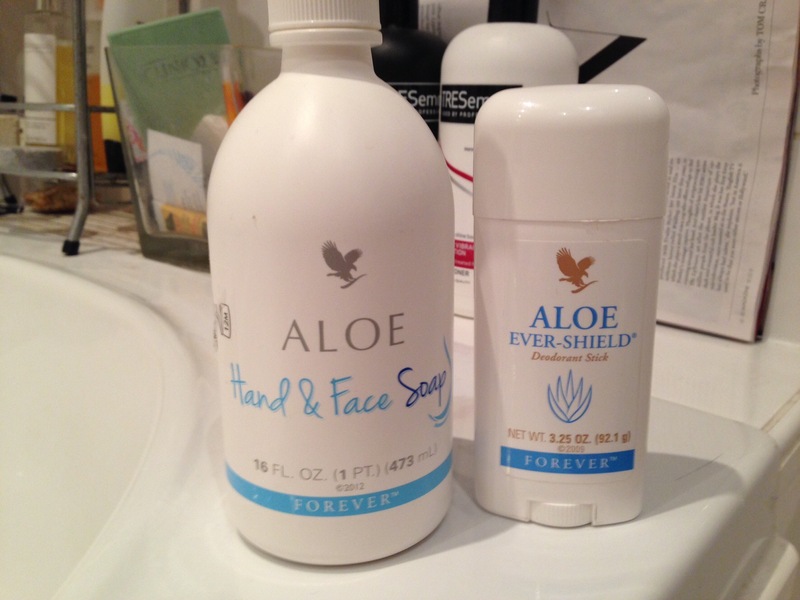 Today’s review is of two slightly less glamorous products – hand & face soap and ever-shield deodorant. The hand and face soap has a subtle fragrance and lathers well. It seems quite mild and is fine as hand soap as it doesn’t dry the skin. I’m not sure I’d want to use it as a face soap personally, but I have heard other people say they use this as a baby wash and a shampoo so it’s clearly a useful one to have around. It would also be good as a shower gel for those (particularly men) who don’t like scented products. I use handwash pumps in the kitchen and bathroom, but prefer those that are anti-bacterial. I know that aloe vera does have some anti-fungal and anti-bacterial properties, but I’m not sure whether this product does. I’ll have to do some research. I wasn’t sure initially about the deodorant as it isn’t an anti-perspirant, which I usually prefer. However I gave it a go and was impressed. It is a big stick and glides on easily. It has a subtle fresh fragrance, and you don’t get sudden whiffs of it during the day as you can with other roll on or stick deodorants. 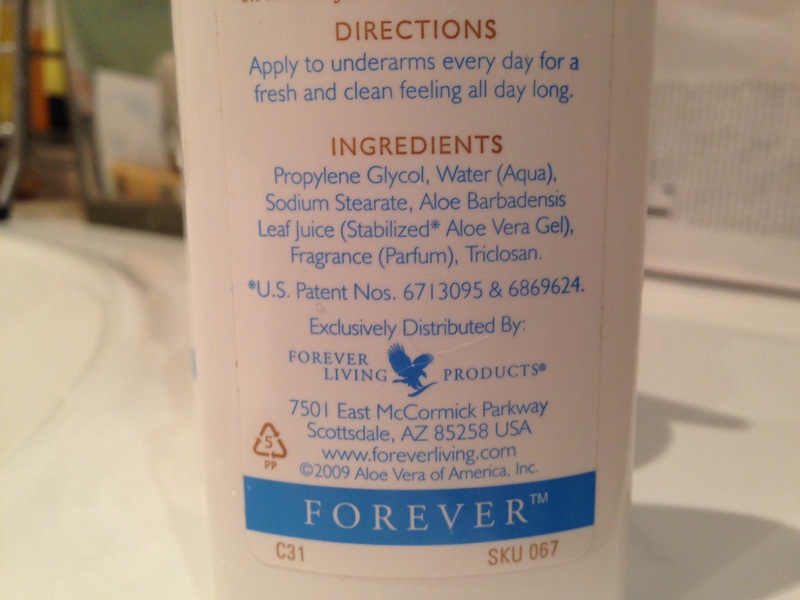 It has very few ingredients so is pretty natural and will leave your underarms nice and soft too. It also doesn’t leave white marks on your clothes – result! I am sad I can’t use it, as I think this is a great product – and really reasonably priced. It’s £6 for the stick and it lasts around 9 months. Great value! Not long left with the trial and only a couple more products left to review. Shame, as I’ve been enjoying it.